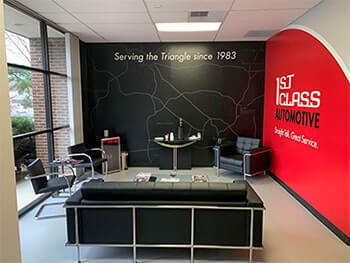 At First Class Automotive, we pride ourselves on our dedication to providing Raleigh, NC with superior customer service and complete auto care. For more than 30 years, we’ve worked hard to cultivate a friendly environment and maintain the small-shop feel that we honed during our more humble beginnings years ago. We understand that auto repair is usually unexpected and unplanned - that’s why we strive to make the process as simple and convenient as possible for our customers. To ensure your comfort with our automotive repair services, we explain each cost and back all of our auto service work with an 24 Month / 24,000 Mile Warranty. In order to maximize your convenience while your vehicle is being repaired, we offer a complimentary local shuttle service in Raleigh, as well as complimentary loaner cars if your automotive repair service is going to take a little longer. 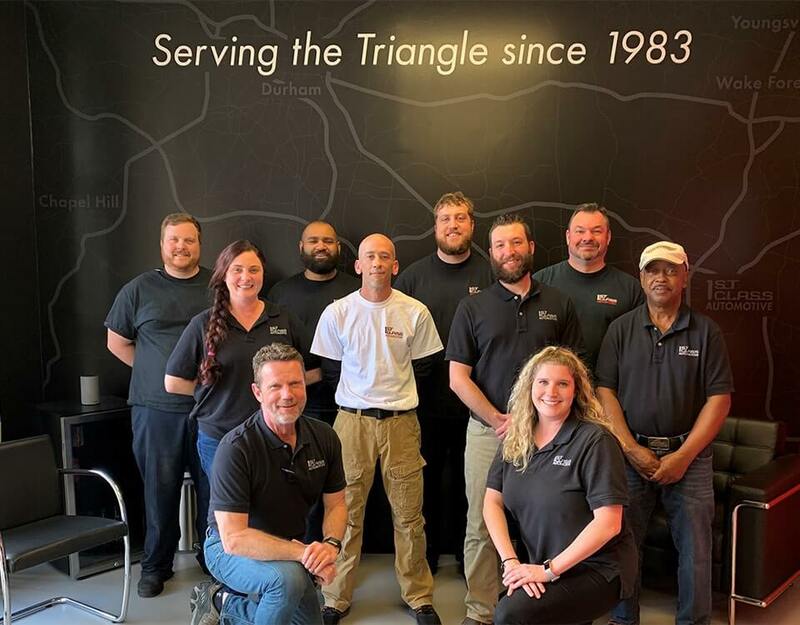 Since 1983, customer satisfaction has been the foundation of our business, and we continue to strive each day to make First Class Automotive the best auto repair shop in Raleigh, NC! 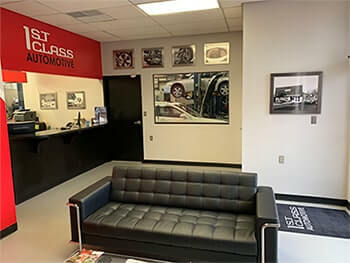 Learn more about the exceptional staff at First Class Automotive that makes it all possible! Harry was born in Rex Hospital in Raleigh, NC. He graduated from Broughton High School in 1980 and from Sandhills Community College in 1982. 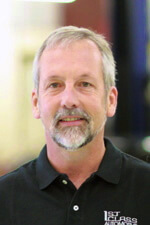 He attended NCSU for Engineering from 1982-1983, but left to be part of the start-up for First Class Automotive. Harry's interest in the auto repair industry was evident early on, as he has been working on BMWs since he was 13 years old. He is also married with 2 children. Harry loves architecture and design (especially modern), cars, computers, cycling, golf and being outdoors. He also has coached soccer teams since 1999 and has been teaching 2nd grade Sunday School since 2000. Jackie was born & raised in Apex, North Carolina and now lives in Knightdale. Jackie has 2 children & six grandchildren. He enjoys restoring classic cars & attending auto shows. Jackie has been working for First Class Automotive since September 2001. 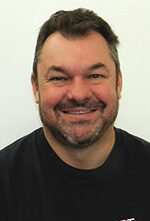 Chris is from New Milford, New Jersey and moved to Wake Forest, North Carolina in 2000. He graduated from Franklin Academy High School and plans on finishing up his schooling with a business and accounting degree. Chris has been in the automotive industry since 2008 as an automotive technician, and has recently moved into the service advisor role. He’s been interested in cars since he was young and always knew that he wanted to do something in the automotive industry. In his spare time, Chris enjoys going to the beach, being around family and friends, and traveling to car events across the East Coast. Chelsey was born & raised in Raleigh NC. She graduated from Broughton High School in 2006 & from Appalachian State University in 2010 with a Hospitality and Tourism Management degree. After college graduation Chelsey moved to NYC to pursue her career in Customer Service. Her customer service skills have been sharpened through experiences in hotel reception and food service, early childhood care and education, and even a short period working a ticket booth at a famous comedy club off Broadway. The last 6 years she has been the Hospitality Manager at a well know bakery in Manhattan but decided to return to Raleigh which she considers her “true home”. Chelsey has always had a strong interest in cars which she undoubtedly received from her Father. As a shop owner’s child, cars, especially unique ones, were a constant influence during her childhood. Chelsey enjoys hanging out with Family & Friends, reading, going to the beach, music & attending concerts. Megan was born in South Bend, IN and moved to Raleigh in 2000. She graduated from Millbrook High School in 2000. Megan spent many hours as a kid in the garage with her dad. By watching him work on the family cars and asking lots of questions she gained valuable, practical knowledge about how things work. This practical knowledge has a big asset in her career in the automotive field. 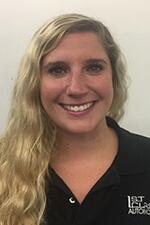 Megan has been working in the automotive industry for 8 years. She started working at independent dealerships but has now transitioned to the repair side of the industry. Megan has 1 teenage son; they love to go camping and traveling to new places. Mike was raised in Dubuque, Iowa, on the Mississippi River. His parents noticed right away that he was interested in how things worked. It started with toys, then bicycles, and finally cars. He was always tinkering around with something. 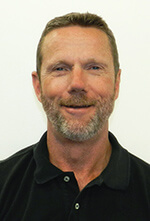 After graduating high school, Mike moved to Phoenix, Arizona to attend AAI Technical School, and stayed there for 24 years. During that time, he earned numerous automotive training certificates including his ASE Master L1 Automobile and Master Medium Duty. He relocated again in 2012 to North Carolina for a “better quality of life.” Mike enjoys being outside – exploring, hiking, camping, fishing, and boating – and North Carolina provides plenty of that! Max grew up in Fuquay-Varina and has been around cars all of his life. He graduated from Fuquay-Varina High School in 2009 and attended Wake Tech for their Automotive Program from 2009-2011. Max moved to Raleigh in 2012 to be able to engage in the city’s culture and nightlife. Max learned from an early age about service maintenance and repairs while helping his father, who was also a Technician, build a race car. 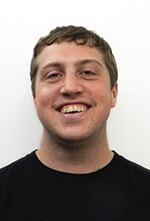 Max enjoys playing guitar, attending car shows & automotive track events. Kyle was born & spent most of his youth in Louisburg North Carolina. His family later moved to Cary where Kyle Graduated from Panther Creek High School in 2011. After graduation he went to work in the restaurant industry for a short time but decided an Automotive Career was his calling. Kyle has always been interested in cars, drawn to new automotive technologies that, among many things, enable them to reach higher and higher speeds. In 2012 Kyle enrolled and began attending Durham Technical Community College where he will earn his Associates in Automotive System Technology. He is scheduled to graduate in the fall of 2016. Some of Kyles interest include attending car shows, hiking, and working on his personal project car which is also his daily driver. Craig was raised in Newark, Ohio where he graduated from Granville High School in 2004. From his childhood Craig’s parents knew of his love for tinkering and saw his curiosity for all things mechanical quickly grow as he grew up. From automobiles, to audio equipment he was always taking things apart and rebuilding them into something new. From 2005-2009 he attended The University of Toledo for Studies in Human Resources and Marketing. 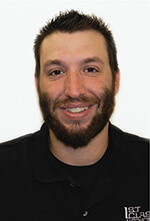 Shortly after college he realized his love for automotive was stronger than ever and decided to relocate to North Carolina to attend The NASCAR Technical Institute (NTI) in Mooresville NC. 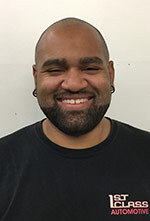 He graduated in 2010 with certification in automotive technologies. In 2013 Craig decided to make Raleigh his new home. Craig is an audiophile and enjoys jazz music, he also enjoys attending drag racing events working on his personal project car and traveling. After 35 years as Co-Captain Jed retired on August 31 2018. Jed still drops buy from time to time and enjoys staying connected to the business. Jed attended Atlantic Christian College in Wilson from 1970-1972. 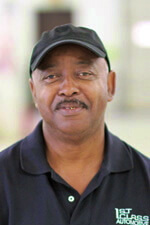 He also attended Wake Technical Institute for 1975-1976 to obtain a degree in Automotive Technology. From 1980-1982, Jed was the owner of Import Autocraft in Garner, NC, specializing in BMW Repair and service. Jed partnered with Harry in 1983 to help start First Class Automotive. He is married with 2 adult children, Travis and Allyson. He likes gardening, landscaping, sports (especially tennis), bicycling, swimming and walking. 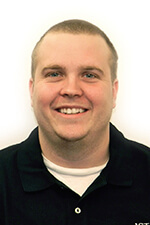 Jed is a current member of Service Center Scholars, NFIB, IFO and BBB. He also was a past member of the Bosch Service Council as well.